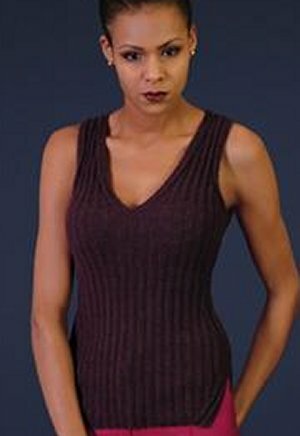 Taken from Indigo by Kim Hargreaves: "This close fitting sculpted vest is knitted in Rowan Creative Linen "
Size US 5 (3.75 mm) or size needed to obtain gauge are required but not included. Finished Bust Measurements: 32(34, 36, 38, 40, 43)" after blocking. $44.85 -- Kit price including yarn only (no book or pattern). $59.80 -- Kit price including yarn only (no book or pattern). $74.75 -- Kit price including yarn only (no book or pattern).